Since the article, Olufemi said she had been “flooded with abuse”. But she also championed the “widespread support from people who understood that this was a very targeted form of abuse”. Indeed, black women experience some of the worst online hate. Black Labour MP Diane Abbott received ten times more online abuse than other individual MPs during the general election. 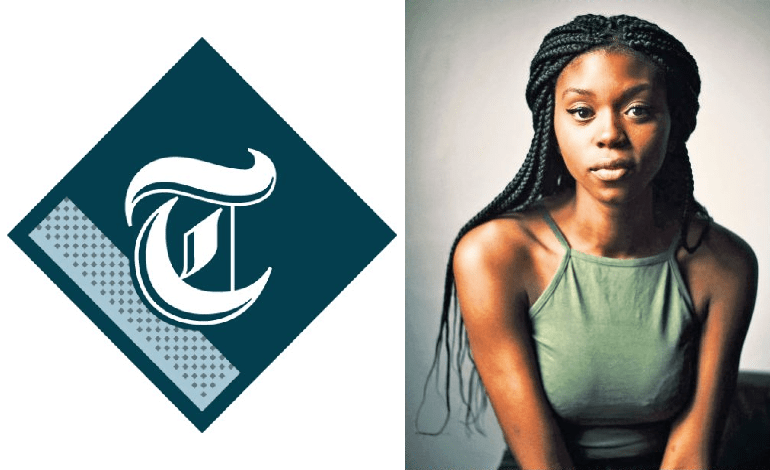 Still, The Telegraph thought it was appropriate to place Olufemi’s image on the front page coupled with a false claim that she is trying to replace white authors. In response, Cambridge lecturer Priyamvada Gopal branded the front page “horrifically racist and false”. Changes will not lead to any one author being dropped in favour of others – that is not the way the system works in Cambridge. We condemn the related harassment directed at our students on social media as a result of the recent coverage. The Canary asked The Telegraph for comment, but received no reply by the time of publication. There’s a structural reason The Telegraph and other outlets keep getting away with such behaviour. In the most part, the mainstream press is regulated by the Independent Press Standards Organisation (IPSO). ISPO is funded by the Regulatory Funding Body, which also writes the rules that govern IPSO. Sitting on the Regulatory Funding Body’s national board is Murdoch MacLennan, who also happens to have been Chief Executive of the Telegraph Media Group. In fact, the Regulatory Funding Body’s board is stacked full of some of the most senior people in the mainstream press, including the editor of The Express and the Editorial Legal Director of The Times. The chairman is Kevin Beatty, who is also the Chief Executive of DMG Media, which publishes The Daily Mail. The Regulatory Funding Body writes IPSO’s rules, including setting the conditions where an investigation can go ahead. But even IPSO itself is far from independent. For example, The Sun‘s former political editor Trevor Kavanagh sits on the board. Kavanagh is still a columnist for the paper and, in August this year, he wrote a piece asking “What will we do about The Muslim Problem?” A letter signed by 107 cross-party MPs demanded action against this “Nazi-like language”. IPSO is essentially controlled by the very organisations that it claims to regulate ‘independently’. That’s a major reason The Telegraph and other corporate outlets feel free to run ‘racist’, false stories. This time, The Telegraph plastered the image of a black woman on its front page, coupled with a false allegation. Utterly shameful. – Share this story so The Telegraph cannot get away with its tiny ‘correction’. – Check out new media sites like Red Pepper, Novara Media and Jacobin. – Complain to IPSO, which may at least uphold the complaints. The government just revealed how many millions it’s spent on Brexit so far. And we’ve still got 17 months to go.